John and I recently found out we were accepted into the education program we’d applied to. I wasn’t exactly surprised that we were accepted (since we both have a great deal of experience working with kids), but I was surprised at just how ecstatic the news made me. Maybe I’m feeling motivated by my student loans, since they’ve just been there, looming. Maybe I’m just excited to move beyond the academic world of writing essays for affirmation. Then again, maybe I’m just excited to start a job that I love doing. As I head towards my new career I feel a little torn by the stigma the profession carries. Here in Canada, many people accuse teachers of being overpaid for a job they don’t consider very difficult. Then there are the teachers who have worked for years only to be burned up and spit out by the system they dedicated their lives to. Some of them have asked me if this is really the route I think is best. There’s also the general sentiment that “those who can’t do, teach,” so despite my own excitement over my career path, I often feel the need to defend my choice or explain that “I might explore other options later.” Not to mention that, as a woman, it feels like I’m giving in to that traditional cliche of finding the kind of job that people can classify as “women’s work”. Yet in spite of all the ideas about teaching that I’ve internalized, or at least had thrown my way, I keep feeling drawn back towards the profession. Finally, I’ve allowed myself to recognize what an amazing and rewarding career path it is. Don’t believe me? Well, let me explain. Last summer I got a job running a kids’ program at the local library. My role consisted of reading books to kids, encouraging them to read at home, and doing a few crafts with them. Basically I was babysitting them for an hour so that their parents could have a break. While I knew I would enjoy entertaining the kids and reading children’s books (who doesn’t love reading children’s books? ), I had no idea I would become obsessed with crafting and building forts. After a year of focusing my attention on a computer screen, I was suddenly able to make stuff by hand. It was bizarrely exhilarating. A few things I made out of old fridge boxes for the kids to play in. The Minecraft creeper is a little worse for wear, but that’s because the kids were throwing beanbags into his eyes and mouth. The fishing poles that the kids would drop into the fishing pond also became thoroughly destroyed. When British Columbia residents heard that Nestlé was only being charged $2.25 per million litres to bottle up our water and sell it back to us, we were furious. I, for one, wanted to do what this panda is doing. We weren’t just angry because Nestlé has a terribly track record in their dealings with developing nations. We weren’t just angry because B.C. is “renting out” access to our water for far less than other provinces. I love getting lost into the world of a book. You know how it is when you can’t handle taking a bathroom break or stopping to eat lunch because it might mean tearing your eyes away from the page? Luckily, as an English major, reading is a big part of my learning experience. Not every book I’ve been assigned to read has been my style, but some of those books have been so good that they sucked me deep into the story until the next things I knew, tears were streaming down my cheeks. For the sake of this article, I won’t be focusing on all the books I’ve read over the past year. If you want to read a fantastic overview of a wide span of books, I suggest you check out Evan’s 2014 Literary Awards. Instead, I want to share the last three books that made me cry, and, more importantly, I want to discuss the larger issues that make each of these three books valuable reads. Each of these novels engages with what it means to live in a post-colonial world. In each story, it quickly becomes apparent that the horrors of colonization do not simply end the moment government policy changes. While I will avoid any key plot points in these books, I will be alluding to general context around the books. If you prefer to go into your reading experience with a blank slate, I should warn you, Spoiler-ish content below. 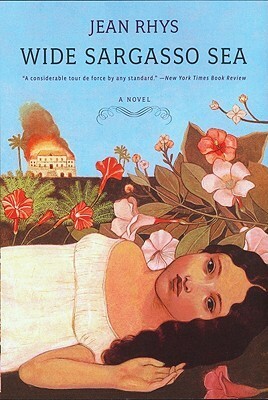 Generally regarded as the post-colonial prequel to Jane Eyre, Wide Sargasso Sea opens in Jamaica, shortly after the abolition of slavery. Rhys’ protagonist, Antoinette, comes from a family of plantation owners who were brought to financial ruin by abolition. As a child, Antoinette struggles to understand what separates her family from the rising class of British capitalists. By writing from the perspective of a child on the wrong side of history, Rhys prevents any oversimplification of her narrative. She also challenges the idea that colonial injustice somehow ended when slavery did. I cannot take personal responsibility for finding a single one of the amazing resources I’m going to include below. Instead, I have to give all the credit to the friends I’ve made here in Trois-Pistoles. If any of you happen to read this, thanks for being so rad. 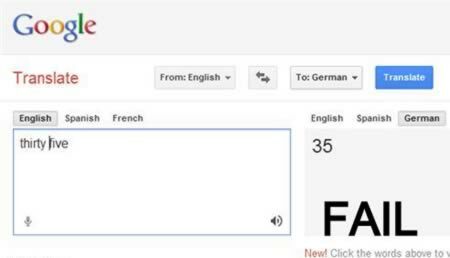 Alright, I have to admit I still use Google Translate now and then, but there is a good reason teachers always tell you to stay away from it. It’s doing translation, and that is all. Unfortunately, literal translation can go very wrong. Like the time I planned a trip to France and told my hosts I could be “catching a coach” from the UK. Turns out instead of using the word for the vehicle, I used the French word for a sports-team coach. Awkward. Also, Google Translate can be a little lazy sometimes. So, when you find yourself searching for the right word, turn to WordReference instead. It’s not going to pretend to do all the work for you, like Google Translate, but it also isn’t going to pepper your translation with hilarious nonsensical phrases.